This is most likely where you're standing or sitting right now. This is the largest district in Warsaw stretching from the Old Town to the north and Aleja Armia Ludowej south and more or less Aleja Jana Pawła II to the west and ul. Topiel and Rozbrat to the east. This is most likely where you will spend most of your time as most of the city's bars, restaurants, museums, parking lots, hotels and shops are located somewhere here. Below are some of the best venues in the city. Created in 2010 by Italian artist Blu, this piece shows soldiers doing their thing...while being controlled like puppets on strings. It covers 1200m2 and took the artist 3 days to paint. A weird little find selling decorative sea shells, minerals, fossils, silver jewellery, amber products and souvenirs from Poland. 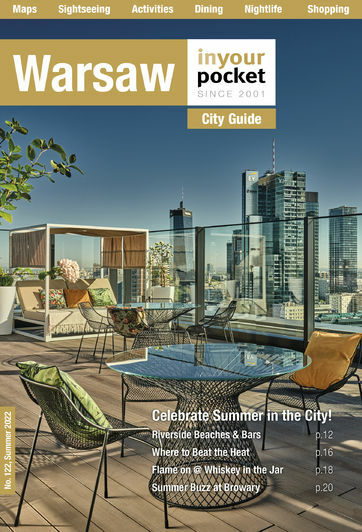 An absolute treasure, and a must visit if you’re looking for a souvenirs from Warsaw, something a little unique! If you’re looking for a big, fast and cheap American-style breakfast, none rocks harder than this global legend. Their special breakfast sets feature the usual treats like omelettes, eggs, quesadillas, juices, coffee etc for 19zł.